Pedestrians who are hit by cars have the distinct disadvantage of being completely unprotected. As such, all drivers must respect the rights of pedestrians sharing the roadway. Inattentive drivers or those who fail to respect pedestrians’ rights of way can be held financially responsible for the harm they cause and must prove they were not driving inattentively or negligently. 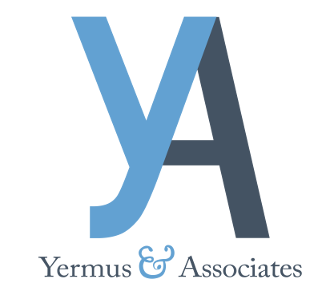 Yermus & Associates, and his legal team will protect the rights of injured pedestrians and their families in making personal injury claims. From our office in Toronto, we represent clients who have suffered injury in motor vehicle accidents throughout the Greater Toronto Area (GTA) and southern Ontario. We handle all claims on a contingency fee basis, meaning we will only recover legal fees if we make a successful claim on your behalf. Hit-and-run pedestrian claims can arise when an at-fault driver fails to stay at the scene of an accident after hitting a pedestrian. If the driver cannot be located, you may still make a claim for accident benefits through your own car insurance or that of someone in your household. You may also be required to make a claim for damages through your own insurer. If you or anyone else in your household does not own a car, you may be eligible to make a claim from public funds designed for just this situation. Our team can assist you in making a claim through all possible channels to recover the benefits you may need. When you engage our services, we will explore all of your options for recovering the benefits and compensation to which you are entitled. To discuss your case with our Toronto pedestrian accidents lawyer, contact our firm by calling 416-229-4878 (HURT) to arrange a free initial consultation.